It’s T minus two weeks until the citywide election, including the election for Chicago mayor and City Council members. 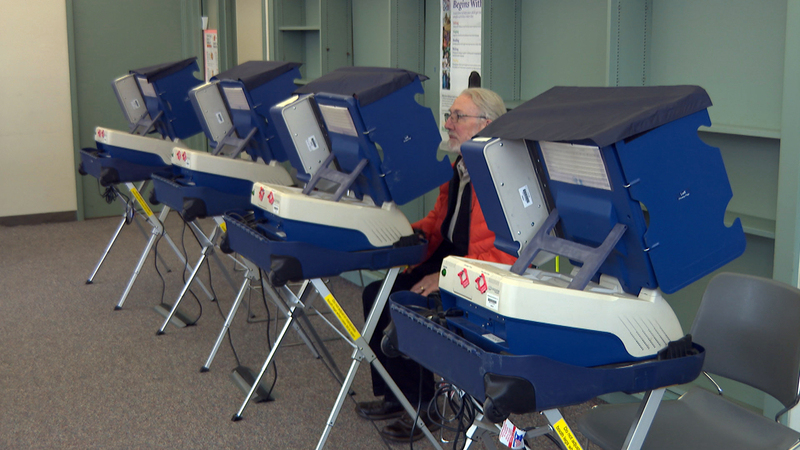 Early voting began Monday in all of the city’s 50 wards. There are 51 early voting sites in total, and they will operate for the next two weeks. That’s one location in each of the 50 wards, plus the Loop Super Site at 175 W. Washington St. Many of the mayoral candidates cast their ballots Monday morning. But beyond that, it’s been a slow trickle of voters, as residents sort through this field of 14 candidates. The Chicago elections board says the beauty of early voting is that it’s more convenient to the voter than voting on election day. Last Thursday, he backed out of a televised debate on WFLD-Ch. 32, the same day the Chicago Tribune published an investigation showing that Daley had received inside help when trying to pass his insurance exam. Daley then appeared Friday night with some of the other rivals in the campaign. Preckwinkle has raised a lot of money, much of that from public employee unions like the SEIU. She’s also received the endorsement of the Chicago Teachers Union. Lightfoot last week received the endorsement of the Chicago Sun-Times. Early voting has been open at the Loop site since late January, but turnout has been low. However, Allen points to several indicators signaling that turnout could be comparatively high once all is said and done. “Voter interest is very strong,” Allen said. “We’ve already more than doubled our vote by mail applications. We have 55,000 ready to vote by mail, when in previous elections, it was more like 20,000. People are definitely engaged and tuned in, but will make up their mind when they feel they have a solid choice,” he said. More: Where do mayoral candidates stand on the issues? Another issue that voters have brought to attention in this campaign is the proliferation of direct text messages. The Illinois State Board of Elections says this may be nothing more than a nuisance. If the campaign is getting a phone number from a database of registered voters, there is nothing illegal or untoward about sending out direct texts. The problem could be if there is a third party that is selling this data to campaigns, which would constitute a breach.